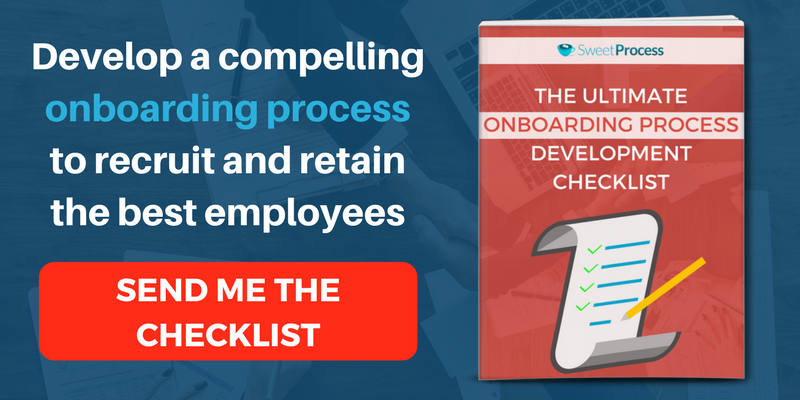 Free Bonus Content: Get Your Free Ultimate Onboarding Process Development Checklist! Click Here To Download It. Does your business have an effective onboarding process? 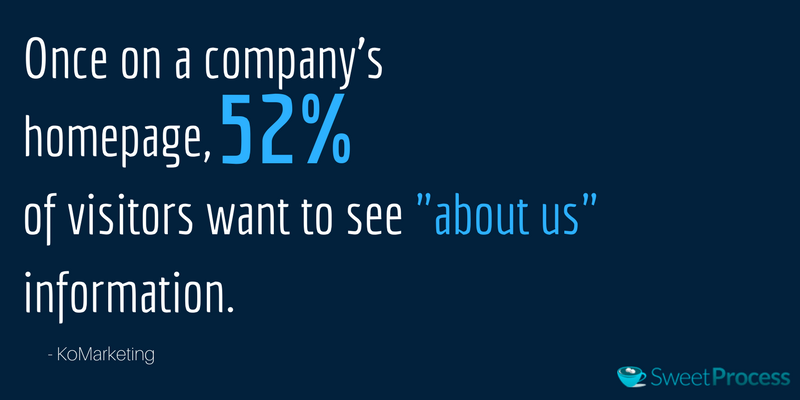 Most business like to think that they do, but the statistics disagree. The truth is: the best employee retention program that modern startups and small-medium businesses have in place is an orientation program that barely goes beyond one week. This is grossly insufficient to convince any new hire to stick with your brand. Your business shouldn’t be making such a blatant error in today’s fast-changing economic climate. You’ll find out why soon enough. Statistics clearly point at ineffective and negligent onboarding as the cause of poor employee retention, which in turn is considered the cause of plummeting revenue and ultimately the failure of businesses. I totally get it. You don’t want any of that for your business. That’s why we created this guide in the first place. The following chapters will take you from rookie to expert in crafting an onboarding process that absolutely inspires loyalty in your employee to your business. I’m sure you’re wondering, “How am I supposed to onboard people I haven’t even screened for employment?” Well, statistics deals with numbers, and numbers don’t lie. According to an Aberdeen survey, 83 percent of the highest performing organizations began onboarding prior to the new hire’s first day on the job. And this procedure of onboarding employees long before they start is called pre-employment onboarding. 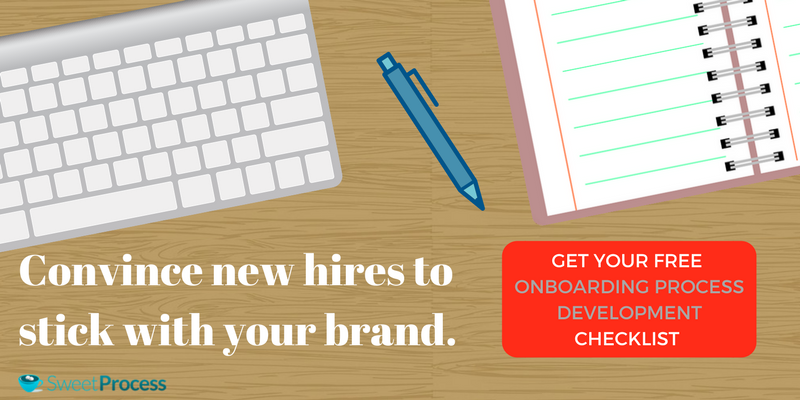 As the first point of contact between you and your new hire, it is the starting point for successful onboarding. Of course, you have a lot of applications from qualified applicants so you may feel this activity is a waste. What’s the point of trying to onboard hundreds of people if at the end of the day you just get to keep one to a few at best? Realize this: Your employee is among the huge number of applicants. Are you willing to take the risk of shocking them on their first day at work, or would you rather tweak your recruitment process to soften the impact? The biggest companies in the world, e.g., Google, have a robust recruitment process. Some new employees even boast to have felt very much like a member of the company before they got employed, all thanks to the clever onboarding interfaced with the boring interview sessions. Pre-employment onboarding completely smoothens the entire process and cuts down on the expenses you will incur if you choose to start only when you have hired your new employee. You should create a robust recruitment process that caters to this problem. What does your website look like? It should be more than a page displaying your business name and services/products for whoever cares to stumble upon it. Your website is your first public relations effort. It should be designed to paint your business in a light that encourages applicants to peer deeper. To help your potential hire get a sneak peek of your business, include pages outlining your company’s vision, goals, mission and company culture. People do not want to work in a hostile environment, and during a job search, they prefer to apply to companies with the best social culture that resonates with their personality. Therefore, you need to make your website a one-stop shop for all the basic information about your company so that your prospective hire has enough details to make an informed decision. This also applies to your advertising efforts. Implementing this helps you weed out non-serious applicants and also ensures that only the right fit for the advertised position contact your business for the job. To improve the quality of your applicants and consequently potential hires, work very closely with your recruitment agency to incorporate your business onboarding processes into as many stages of the recruitment process as possible. This may demand some custom modification to your business recruitment methods, but in the long run, it is worth having your hires begin to understand what it means to work for your company long before they are hired. However, if you manage your recruitment within your company, then it’s time to modify your recruitment policies and strategies to reflect more of your business culture, visions, and goals and less of the boring rigorous application questions. Most interview sessions are boring! There’s a recruiter on one end of the table asking questions and an obviously uncomfortable potential hire reeling out memorized answers on the other end. There’s a solution to this drab interaction thankfully. The answer is: Modify your interview sessions! Interviews are usually the final stages of recruitment, so it’s obvious at this stage that you already have a small number of employees hoping to clinch a position in your company. This is a good time to introduce some juicy company secrets. You can spice up the interview session by having it alternate between Q&A sessions and a controlled discussion that addresses some of the questions your interviewee is too timid to ask. Your potential hire will want to know what the relationship between staff is like, bonus packages, growth programs, etc. It is best to start providing some of these answers in tidbits while you interview them. Not only will they leave the interview room more confident of their decision to work for you, but they will also leave with a lot fewer questions and expectations. Fewer expectations mean less integration shock for them. After the interview comes hiring. 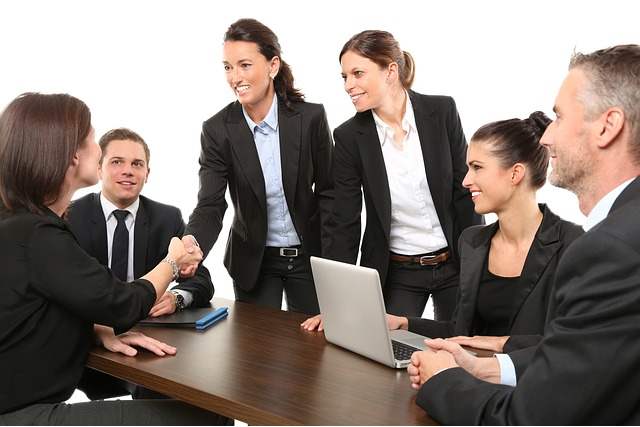 You have painstakingly selected the best candidates and are ready to absorb them fully into the company. But first things first, get every document ready at least several days before they arrive. Forward simple paperwork for remote completion: Usually, the most relevant forms are for the new hire to complete upon arrival, but if you have some internal company paperwork, then it’s a good idea to forward them for completion before the new employee starts work. However, all other forms and paperwork should be made available before the first day to avoid confusion. Make provisions for a new workspace to be set up with all the equipment your new employee will need. Call the new hire to confirm their start date and answer any questions they may have. Sometimes, what kills the passion in your new hire is not the company policy or work requirements but the attitudes of their colleagues. You spent good money hiring new employees, so you shouldn’t leave anything to chance. Some of your existing employees may be very effective hands but downright cold, terrible people. Your new employee meeting such a person on their first day is sure to lead to them walking out and never returning or them staying only until they get another offer. Either way, you lose! If you are taking on only one or two new hires, then it’s best you speak with the colleague they will be working closely with. Let them know how important the new hire is to the growth of the business and charge them to be responsible and not act like a jerk. If you are taking on quite a number of new hands, then a general meeting is in order. Schedule a brief meeting and remind your employees to be on their best behavior and assist their new colleagues to make the onboarding transition as smoothly as possible. Trust me, if you take the aforementioned suggestions, there’s a huge chance you are on your way to retaining the best hands for your business. Keep reading to see how you can make a great first impression on your new employee’s first day at work. The first day on the job is the most unnerving for every new employee. Of course, as you have taken time to dull the shock (thanks to your pre-employment onboarding), it will be much easier for your hires to recover from this anxiety. A number of activities should be carried out on the first day, but the most important is social integration. This involves all the first day activities that help your new hire settle into their role and work environment with ease. The following video explains it comically but effectively. Maya Bansal documents his first day at Google with so much enthusiasm that it’s contagious. Only a near perfect onboarding process could have made this happen. Like any other new hire, Maya felt some measure of anxiety about his first day despite already knowing a lot about Google. On the big day, he left early for work to ensure he arrived on time. Soon after, the friendly faces, warm environment and fancy decorations made him feel welcome. He first met up with fellow “Nooglers” (the term for new Google hires), and after a short while, their mentors or “buddies” (in Google parlance) came to pair up with each of them. Then a tour of the tech giant began! This is a model first day at work! Maya was completely unnerved at first, and by the end of the workday, he already felt at home within the company. You may argue that Google is a big company, they have all the budget and brand prestige so you can’t compete. However, that’s not a valid point. Many awesome small and medium businesses do a great job handling the new employee’s first-day anxiety. You can too if you are willing to follow through with this guide. Have someone ready to welcome them as soon as they arrive: Arrange for someone you trust to do a good job to wait at the entrance to welcome your new hires. No new hire enjoys walking around unguided. Don’t give them cause. Upon arrival, they should be welcomed with sincere excitement to break the ice. Small talk and jokes are helpful too. A robotic welcome will only further heighten their anxiety. Avoid it. Take your new hires on a tour of your company: It’s best to let them become familiar with key areas of your facility, including the cafeteria or dining area, restrooms, their department, HR, etc. Be careful, however, not to overload them. A tour of a few key areas is good enough for the first day; they find the rest as they settle in. W-4: Indicates how much you can withhold from your employee’s income for tax. Introduce your new hires to their colleagues: The earlier your new employee gets to meet their colleagues, the faster they’ll blend with your workforce. You don’t need to make these introductions formal and drab. Spice it up. Get creative. A simple game is sufficient. Have your older hires cook up something fun and surprising for the newbie. This is sure to put a lot of any initial fears to rest. Schedule a first-day orientation: If you did your pre-employment onboarding correctly, then this should be a walk in the park. The first day’s orientation doesn’t have to be technical. It’s supposed to serve as a formal introduction to your company, especially its vision, goals, mission statement as well as its culture. Moreover, if your company has an employee handbook, now is the best time to present it. If your company doesn’t have one, then it’s time to create one already! Show them their workspace, surprise them with company branded gifts: You should have already prepared their workspace beforehand with all the necessary tools and supplies to last your new hire a week at least. Also, add some fun with company branded accessories, such as a hat, shirt, mug, calendar, etc. It doesn’t have to be expensive. Simplicity is still in vogue after all. A fully equipped work area with gifts will make any new hire feel like a part of a family. Introduce them to their mentors: Whether you have a buddy or mentor system, introduce your new hand to a partner for the onboarding process. The mentor will be responsible for taking care of their immediate social and professional needs as well as serve as a guide to direct and teach your new employee the basics to begin work as quickly and efficiently as possible. Take them out for lunch: Trust me, with all the first day activities, your new hire will be enthusiastic about being taken out for a meal. You can arrange for a joint meal with all his colleagues if you run a small firm. Otherwise, the mentor or buddy can select a couple of close colleagues and treat the new hire to a fun lunch. This will integrate him with a social circle fast, and that’s good for productivity. If you successfully carry out these activities, then you can be sure that your new employee will be heading home at the close of work looking forward to the next day. That’s a huge plus for your employee retention goals! So your new hire has gotten past the dreaded first day much to your relief. Thankfully, they still want to stay and grow with your business. Milestone achieved! However, the first week is still as sensitive as the first day because it exposes your employee to actual work life in your company. Of course, they’re not expecting you to repeat the welcome party on the first day. Rather, they’re expecting to begin work in earnest. Also, they’re hoping to avoid making a fool of themselves as they learn the ropes — their mentor/buddy can help out here. These expectations are well-founded, and a solid onboarding process sufficiently addresses them. At the end of the first week of work, your employees should have gotten a good feel for the company’s work schedules as well as policies. They should be able to note at least one completed productive task. The video below does a good job of explaining what a model first week at work should look like. Well, here are some of the activities you should schedule during the first week of your onboarding process to get your new hires all hyped up for work. Simple tasks build confidence, and a new employee can use a major confidence boost during their first week. The sense of accomplishment they feel after succeeding will help them handle more difficult jobs down the line. In the event, the employee is switching careers and learning on the job, assign a supervisor to guide them as often as necessary. Not only will they develop a sense of productivity, but they will also feel like a real member of a team in their new position. It’s easy to leave your newbie to learn the ropes on their own as soon as you assign a buddy or supervisor. But that’s not the most productive way to ensure continual integration. Schedule a meeting, no matter how brief, to find out how they’re doing. Be sure to document and address any complaints as soon as possible. These meetings need not take place every single day of the week. Two or three selected days will work just fine. It is expected that orientation programs will continue beyond the first day. In fact, every rigorous onboarding process should include ones that last up to a week at least. This is to continue the process of integration and socialization. During the first few days, study the reaction of your new employee. There is a possibility that the program is not a good fit for them. It may be too slow or too fast or just damn boring. Consult with their mentors and buddies, and look for ways to spice up the program to suit their peculiar tastes. Your new hires are under pressure during their first week. And even though they try to hide it under masks of smiles and enthusiasm, they still feel lost once in a while. Have mentors/buddies constantly communicate the importance of their contributions to the growth of the business. Encourage them through any errors and emphasize company ideals and how they are a big part of it. They’ll feel more at ease handling tasks if their support system is solidly in place. While you want to ensure your new hires are comfortable with their new jobs, you also want to ensure they are getting ahead in the productivity department. The mentors/buddies you assigned to guide them are in the best position to supply this information. Not all employees grow at the same pace, so it’s best to review their performances on a daily basis to find out how well they are progressing and proffer recommendations to improve their efficiency and adjustment to life at their new job. Every employee enjoys the idea of growth and promotion. That’s why they put in their best to work for you after all. Senior members of your staff embody that dream of growth, and you should make them available to meet with your new hires. This will not only foster a sense of belonging but also motivate them to perform optimally so as to climb their way up to that position. Arrange for short meetings between your senior staff and new hires within the first week, and let them awe at the experience your higher-ups exude. It’s win-win for you! Debriefs: This includes one-on-one meetings and is effective for thorough feedback although more time-consuming. It doesn’t have to be done physically; video conferencing is a great alternative. Suggestion boxes: The most popular form of the feedback system in businesses. Though easily abused, they can be very useful to gauge employee job satisfaction. You can use these channels separately, but they are more effective when used in conjunction. Note that you may not want to load the first week with too many activities and tasks that could burn out your new employee right off the bat. Let them enjoy their first week, but also ensure they understand the primary goal is productive work. The first week is only but another hurdle you’ve crossed on your journey to improved employee retention, but if you are still keen on bettering your odds (I’m pretty confident you are), then head over to the next chapter right away. It’s the first month and your new hire is already probably chatting away with your older staff and feeling confident about their skills and relevance in your company. The truth is: If you onboard your new hires effectively during their first week and onto their first month, then you don’t have very much to worry about for their first month and beyond. Usually, the first few days are the most critical and decide whether a new employee will leave or stay with your company. You don’t want to leave anything to chance because it costs money to hire new hands for your business too often. ERE Media, a talent management and human resources company, states that 33 percent of employees already know if they will stay in their new jobs for short or long term after their first week. The first impression really matters! A cursory look at the infographic below may just convey the message better. 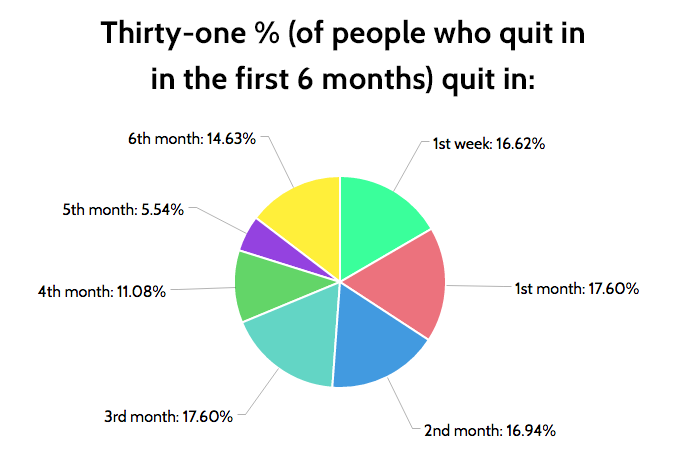 The percentage of new hires ‘that quit within the first three months is jaw-dropping! You should be concerned. This is to say that your management cannot afford to should rest on its oars after a successful first-week onboarding as there could be severe consequences, but rather they should build upon the current momentum. What you’ve been doing right, do it better. Those small errors you’ve been making along the way, correct them. The first 90 days of your employee orientation is also crucial to long-term retention goals and therefore should consist of concerted efforts and not just random, wild shots in the dark. 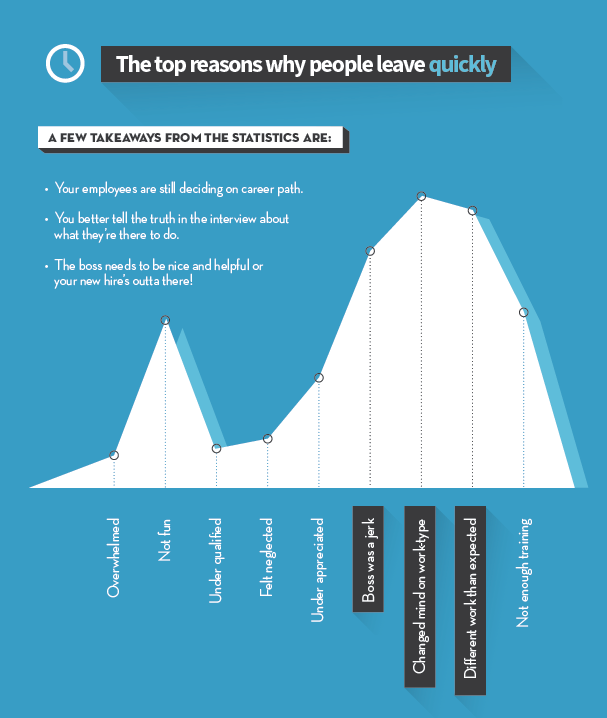 The infographic below depicts some reasons why a new employee will elect to leave after spending a little time with your outfit. Usually, the first-month duration is weightier in terms of retention implications than the other two months that follow, so we shall consider its activities first. Schedule more one-on-one/video conference meetings with your new hire: Your new employee is already getting the hang of the job, but still it’s necessary you continue meeting up with them to discuss their opinion about the work environment. It also gives them the impression that what they are doing is important to the company. Begin to request a formal feedback from them: It is expected that you already have a formal feedback mechanism in place after the first week. The first month is the period to begin testing their effectiveness. Schedule formal debrief sessions with your new hire and also request that they fill out the survey forms you send out to them. Refine the feedback system if lapses are noticed: Analyze your new employee’s feedback to determine the effectiveness of your feedback mechanism. Usually, the data should reveal areas where your onboarding process is doing poorly as well as those grey areas you need to refine. Discuss bonuses, compensation plans, and growth prospects with your new hire: Generally, these topics should have been discussed during the interview to ensure that your new hire accepted your offer. This time, however, the discussion should be based on the implementation of these plans as it relates to the employee. Increase complexity of employee work progressively: The complexity of tasks for your new employee should progressively increase after the first week. Your employee should be encouraged to ask questions to colleagues if their supervisor/buddy is not present to foster faster socialization and integration. Start introducing employee to your partners and invite them to business functions: Nothing boosts the confidence of an employee better than the chance to interact with your business partners. It assures them of their relevance and further increases their commitment to your company. If there are business functions, invite your new hire to tag along. The earlier they get familiar with your business climate, the faster they can begin to perform up to par. Register the employee for the relevant training: No matter how skilled your employee was before being hired, they will still require some measure of training before they can work at full capacity in your company. Work with your recruitment agency or HR department to schedule the necessary training. Communicate this schedule to your employee. Don’t spring surprises with fire-brigade announcements. Most of what you do in the first month will carry on into the succeeding months, but as the new employee’s skill and mastery of the job improve, modify and add on a couple of new activities. Evaluate the performance of your new employee against benchmarks: Your business is expected to set benchmarks in your onboarding process for evaluation and assessment purposes. Use these benchmarks to assess the speed at which your new hire is improving on the job. This information will be necessary for scheduling further training. Arrange employee to shadow more experienced staff while they undertake more complex tasks: Job shadowing is touted to be an effective and speedier means of learning for new employees than conventional training. They learn faster as they see these tasks handled by their superiors. To improve their ability to handle complex tasks, arrange for them to shadow your more experienced staff. Have employees document their professional and personal growth goals: This information is important because it will give you the needed leeway to plan their growth in your company along with their own personal growth goals. The more the goals of your company aligns with theirs, the better for your employee retention ambitions. Find out if the employee has completed the assigned training: Training has a duration. 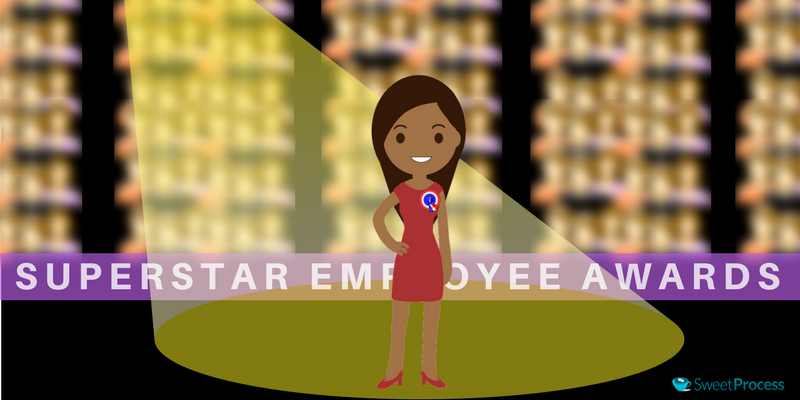 Closely follow new employee training and find out when they complete them. Schedule further training if necessary. Take another official assessment after the completion of the 90-day period: Complete an assessment of both the employee and their mentors/buddies. This should reveal how much your employee has settled into your company. What a relief! We’re done with the first 90 days, but there’s still more work to do. In the next chapter, we’ll discuss effective techniques and activities to conduct between the first six months to the end of their first year to help solidify your employee’s resolve to stay with your company in detail. I’m sure you don’t want to miss out on that. After the first three months on the job, your employee is no longer the naïve rookie that stepped into your company gates while looking confused and fidgety. They are now a near perfect hand on the job. Your rigorous onboarding process and techniques have succeeded in transforming them. This should be evident from their performance records taken at intervals. A pat on the back for a job well-done! Most employers stop at this point and let the employee figure out whatever minor details are left. That employer should not be you. This is because, at this stage, your employee has begun to take solid walking steps in the right direction but can be made to sprint if given further guidance. A sprinting employee is good for increased profits. Most of the activities that you schedule for your new hire between the first three months and one year of onboarding will be geared toward improving their confidence on the job. Also, it enables them to evaluate their skill level as they progress. 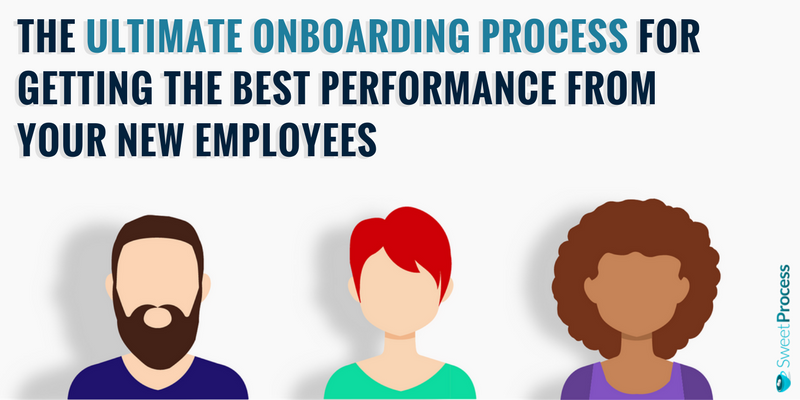 The infographic below highlights what employees desire from an ongoing onboarding program. The feedback system you had in place while your employee was still trying to fit in will not work very well at this point in his growth journey. The reason is this: They are no longer scared of integrating nor taking on more responsibilities; neither are they afraid of making mistakes and seeking guidance from senior colleagues. It is, therefore, imperative that you refine your feedback sessions to seek a new kind of information. Most business models involve having to make presentations, pitches and giving talks to clients either to win bids or secure contracts. If your business operates such a model, then it is time to include your new hire in these activities. Arrange for them to give opening speeches or handle introductory sessions. During employee meetings and seminars, saddle them with the responsibility of delivering a speech or facilitating the meeting. Not only will this improve their communication skill, but also they will be gradually trained to represent your business effectively. It doesn’t have to be all about work. Your new hire deserves to loosen up a bit and worry about issues other than the next project or deadline. The answer is a well-planned fun outing. Give your employees a treat and let them experience fun outside the office once in a while. This will remarkably boost their teamwork and interactions with other senior staff. The only way to measure progress is by assessment. At the end of their first six months, have a performance assessment performed to measure the progress they have made so far. Compare this with your previous records to find any discrepancies. If you find any, develop a means to tackle them effectively. This is also a very good opportunity to test the effectiveness of your new feedback system. Study the responses to your survey questions and one-on-one interviews and look out for areas that should be improved. At this point, it is reasonable to conclude that your new hire is almost as capable as your older staff. Six months of a rigorous onboarding process is sure to have molded them to fit into your organization as best as possible. However, we still recommend proceeding with further onboarding until the end of a full year. In this phase, you are expected to try to align the employee’s career and professional ambitions with that of your business. The extent to which employee’s role expectations align with the reality of their work: Your employee definitely had some expectations before starting your company. It could be about the culture, work schedules and flexible hours. Probe to find out if these expectations were met and note down their response. The extent to which employee’s skills and knowledge are being utilized and ways to better utilize them: Your employee may have reservations about the extent to which their skills are utilized, or it could be that some important tools they require for efficient task delivery are not readily available. Find out what is working and what isn’t and then resolve to improve faltering areas. Do not let this discussion affect your perception of their personality. They have worked themselves hard and long to get to this point; it’s only fair that they get a chance to tell their story in all its honesty. I know you have arranged for these kinds of meetings in the past, but an employee who has stuck around at your company for more than six months is sure to have changed, even if just a little bit. Being at your company may have altered their initial decisions concerning personal growth; in some cases, they may even want to switch to a new career path in your company all together! The information from the first week and the first month is outdated. You need a fresh perspective that has been shaped by work experience. Discuss your employee’s new plans for professional and personal development and seek means to chart them along with your company’s mission. This information is also important for scheduling further training to build their competency along the lines of your company’s and their personal goals. 3) Begin to discuss and plan the year ahead — let them know they are for keeps! You have to communicate in clear terms that you absolutely want your employee to stick around for a long time. They will feel flattered! One very effective way to achieve this is by involving them in your plans for the oncoming year. This will send a strong message about how much you value their input and also provide the opportunity to suggest better ways to put their skill to use in your operations. Most employees love to be included in decisions that directly involve them. Outline the relevant areas where you have earmarked their skill to help grow the company in the oncoming year and seek their input about these decisions. Of course, you get to make all the final decisions, but the aim is to pull them into the decision-making process as much as you consider appropriate. As the end of the year approaches, you should begin to plan an official platform where the efforts and achievements of your new hire will be celebrated. This can be done as a company dinner night or some social gathering. Appreciating the contributions of your employees is a sure way to boost their dedication to your company’s growth and also build their self-confidence among their peers as they carry on with their daily assignments. Do you need a motivated staff? That’s how you form one. How effective was the process of preparing you for your role? Was there a point in the entire process where you felt your expertise was underestimated? Was there a point in the process where you felt rushed or pushed too hard? How much did your mentor/buddy help smoothen the process? Is there any part of the program that you feel should be removed? If yes, why? Is there any part of the program you feel should be improved? If yes, why? Do you have any suggestions to improve the overall program? At the end of his first year, take a final assessment of overall employee performance all through the year. Meet with your employee’s mentor/buddy to review this information and appraise the growth of your employee throughout the one-year period. Also, this period should be used to compare the success of the onboarding process with previous records for objective analysis. Look at all the information gathered throughout the onboarding program as a way to develop a better version to implement the next time your business is in need of new hands. 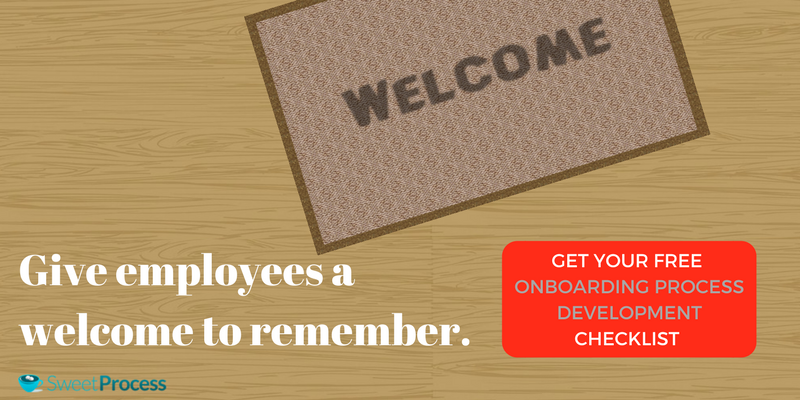 A lot of businesses are beginning to realize the importance of onboarding and how it can impact their overall productivity as well as employee retention rate. Your business should too. The benefits are numerous as well as very critical to your business’ growth and expansion. 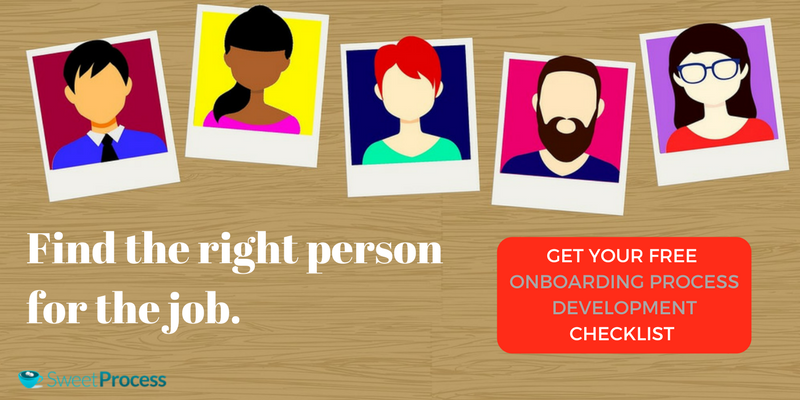 While onboarding is all the rave at the moment, a poorly executed onboarding process can have serious consequences too. This clearly brings to the fore the essence of only employing a strategic and thorough onboarding process in your company. Are you a business manager saddled with a constantly booked schedule that prevents you from actively participating in the development of effective onboarding programs for your company? Then, your best bet is to let SweetProcess handle it for you! One less thing to worry about, right? 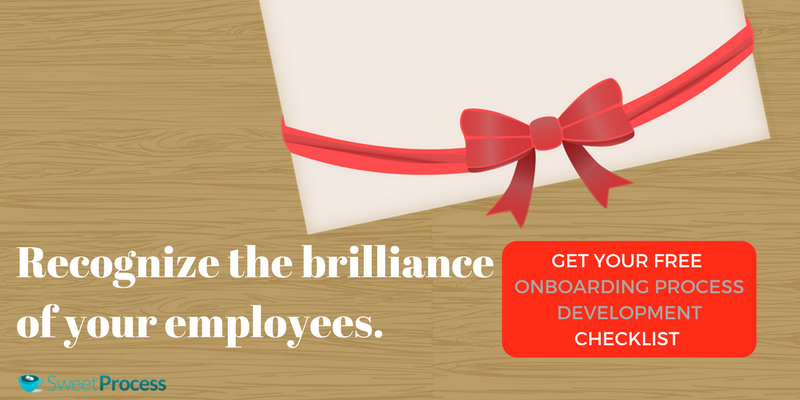 SweetProcess can help you create a thorough and effective onboarding process, one that is sure to see your employee retention soar in no time. At the end of each chapter in this guide, you’ll find attached a checklist to direct you while you create a unique onboarding process tailored to your business. 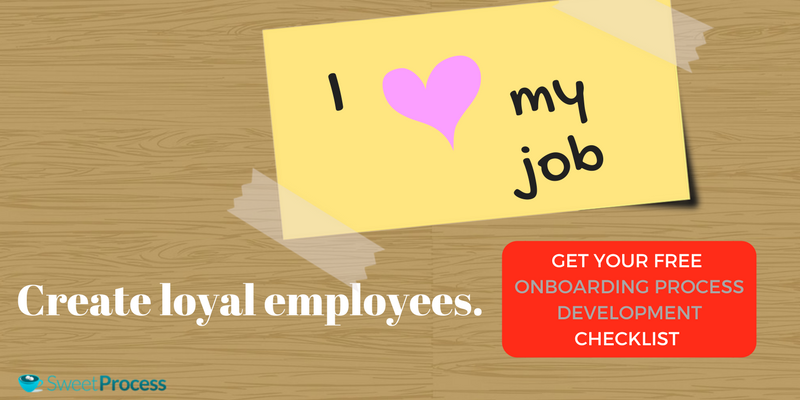 You can download and utilize them as you go through the guide so you can develop that stellar employee onboarding process you’ve always dreamed about. It’s absolutely free!